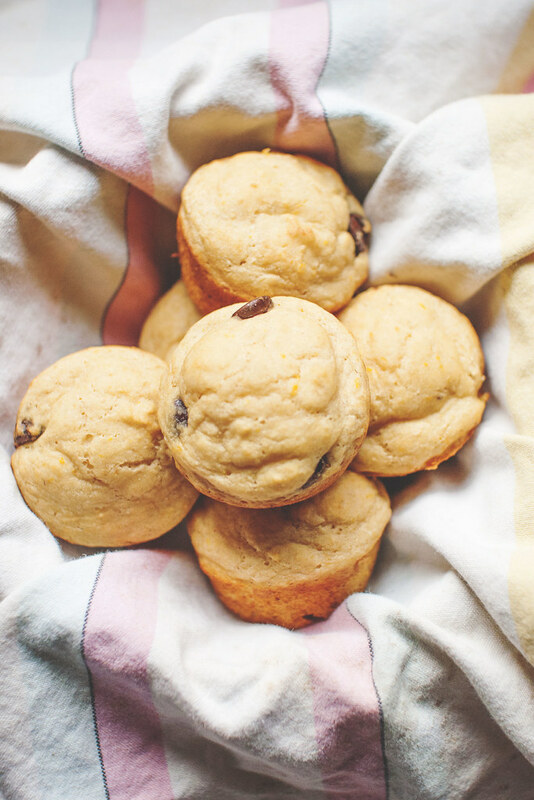 neverhomemaker: Zesty Orange Ricotta Muffins, etc. 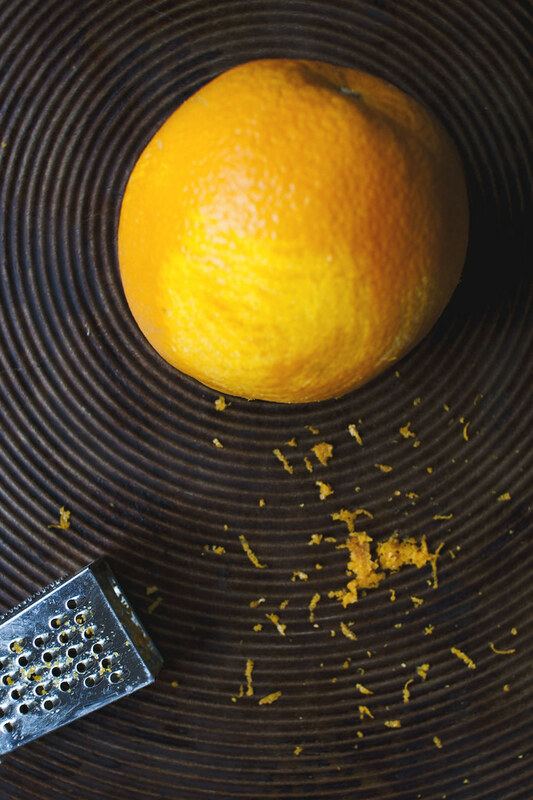 Zesty Orange Ricotta Muffins, etc. Our new favorite pizza topping is ricotta cheese. Thing is, we usually have quite a bit leftover after using only a few dollops . . . a couple nights a week. Anyway, I was making Ada chocolate chip pancakes for breakfast on Friday, it's sort of our tradition, and I got this idea to give them a dose of protein with ricotta. I made myself a few, too, but added adult flair with orange zest and honey. We don't have time for pancakes everyday. So, with our Juice Pulp Muffins // Bread fresh in my mind, I experimented + discovered this recipe works very well as pancakes, waffles, and muffins. It just requires a simple tweak. More or less almond milk. 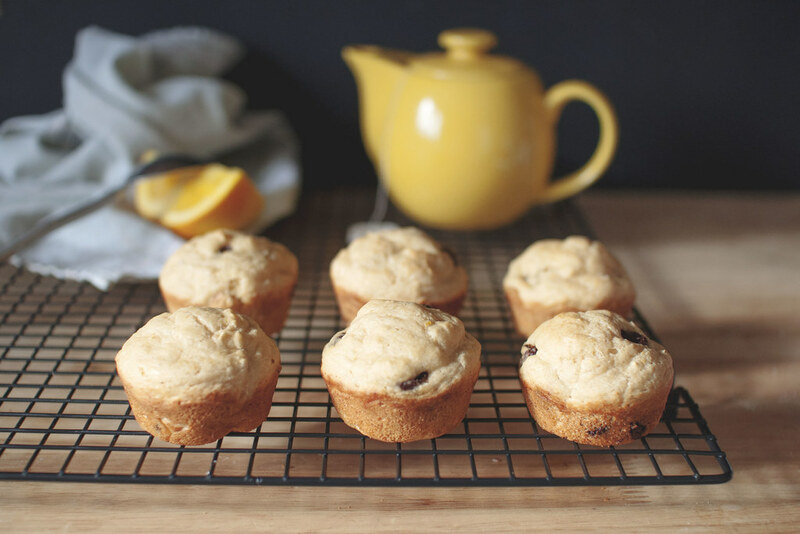 More for thinner batter for pancakes, a moderate amount for thicker waffle batter, and less for these muffins. 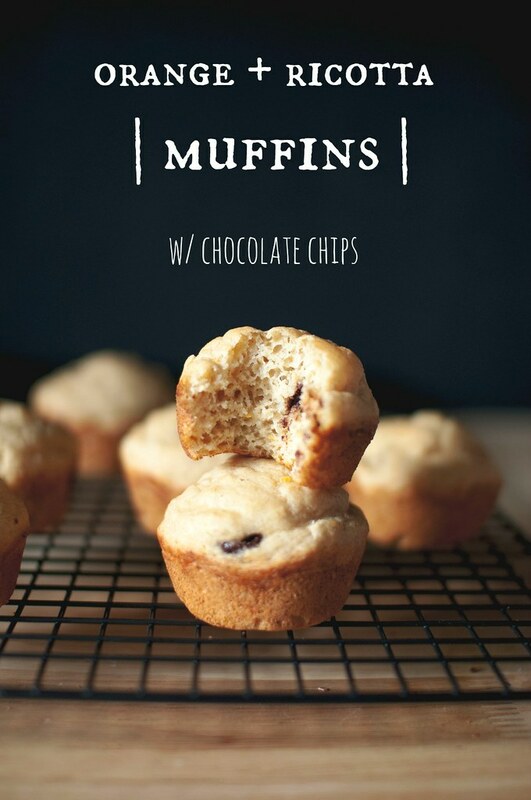 Or, should I say, your new favorite muffins? Or pancakes. Or waffles. Best with dark chocolate chips. Preheat your oven to 350 degrees F. Lightly grease a standard muffin pan with oil or butter or substitute. Or line with muffin papers. Alternatively, skip this step if you want to make pancakes or waffles. In another bowl, mix together the rest of the ingredients (starting with 3/4 cup milk) -- except the chocolate chips. 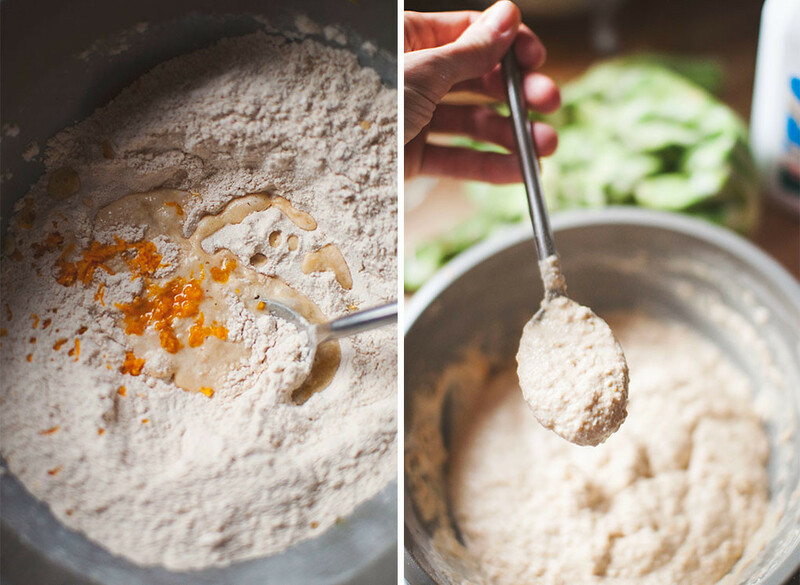 Combine the wet and dry ingredients and mix until just combined. Batter should be thick, but not like bread dough. Add more liquid, depending. Fold in chocolate chips + portion equally into the muffin tin. Bake for between 18-22 minutes, until golden brown. Let cool on a cooling rack to avoid sogginess. *** To make pancakes or waffles, thin out batter with almond milk until familiar textures start to happen. Honestly, I'd make waffles with the muffin batter so they are extra thick. Pancakes tend to work better with a full cup of milk + be sure not to flatten while cooking. ALSO: Make sure pan or waffle iron is well greased. And for pancakes, set heat to medium, as the juice and honey will tend to make them brown/burn a bit quicker. The texture is almost like baked doughnuts. I was really surprised by all the airy lightness these guys pack. I'm not used to that happening when not using eggs. It was one of those lucky "mistakes" where -- instead of it being in the plan, it just happened that way. I'm pretty sure it's because I used just one flax egg. Or, again, just luck. You may also substitute maple syrup in for the honey. You'll notice there isn't refined sugar in the recipe, as I'm trying to moderate how much gets in Ada's diet. It's funny how turning two opens up this new world of junk food, whether we intend for it to happen or not! We eat what we love. It's a delicious balancing act.